The German Foreign Ministry has raised doubts over the credibility of the Syrian Observatory for Human rights ( SOHR), after the organization reported on civilian deaths in Syria which allegedly resulted from the US-led coalition bombing based on intelligence data provided by Germany. "The Syrian Observatory for Human Rights is not [acting] on the ground but is situated in London. Even though it indeed has a good network [of informants] on the ground, not everything that it reports about eventually reflects the truth,” foreign ministry spokesman Sebastian Fischer said Friday at a daily press briefing. Steffen Seibert, head of the German governmental press and information agency, also called the information provided by the monitoring group “unsubstantial.” He said the government has “no precise data about any specific casualties in this case,” adding that this information is still being verified. Last week, the UK-based SOHR reported that an airstrike “by warplanes believed to belong to the International Coalition” on a school sheltering displaced people near the northern Syrian city of Raqqa claimed at least 33 civilian lives on March 20. 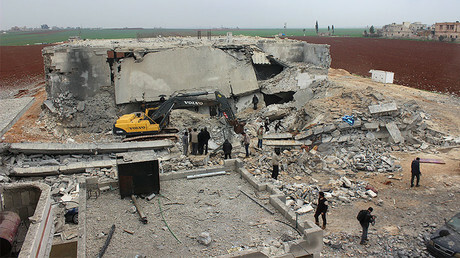 Some of the activists who provide the Observatory with information on the Syrian conflict allegedly counted the bodies of the dead at the site of the strike near the village of al-Mansour, the group said. 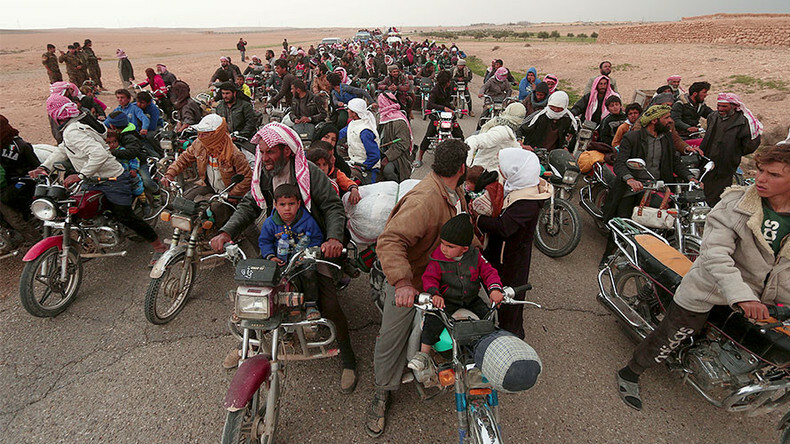 Al-Mansur is around 30 kilometers (18.5 miles) west of Raqqa, which is held by Islamic State (IS, formerly ISIS/ISIL). Local Syrian media also reported on the coalition attack in al-Mansour, saying that bombs from a US-led coalition plane completely destroyed the school where at least 50 families from Raqqa, Palmyra, and Aleppo had been taking shelter. Syria’s Foreign Ministry confirmed these reports and called on the United Nations Security Council “to stop the massacres and acts of destruction and sabotage perpetrated by the international coalition,” SANA news agency reported. The German newspaper, Süddeutsche Zeitung, later reported that German servicemen did provide the US-led international coalition with reconnaissance photographs of the al-Mansour area. The coalition allegedly used the photos when it carried out the airstrike in question. According to the paper, German Tornado reconnaissance jets do not attack terrorist targets in Syria themselves but are playing a supporting role in the US-led anti-Islamic State (IS, formerly ISIS/ISIL) mission in Syria making available images of possible targets. The country’s Defense Ministry, however, declined to comment on this specific case citing secrecy. Quoting a German Defense Ministry spokesperson, the DPA news agency also reported that the German military did not provide real-time intelligence and thus could not guarantee the absence or presence of civilians at a certain location at the moment of an attack. The Pentagon also refused to acknowledge civilian casualties in the incident despite the reports. “At this time, we have no indication that an airstrike struck civilians near Raqqa as the Syrian Observatory for Human Rights claims,” said an official statement from Operation Inherent Resolve, the US-led anti-IS coalition. “However, since we have conducted several strikes near Raqqa we will provide this information to our civilian casualty team for further investigation,” it added. The Western media along with officials often take the information provided by the Syrian Observatory for Human Rights as gospel, and mostly regarding reports that speak of victims of either Russian or Syrian military actions in the region. Both the Russian and Syrian military have on a number of occasions revealed inconsistencies in the group’s earlier reports. 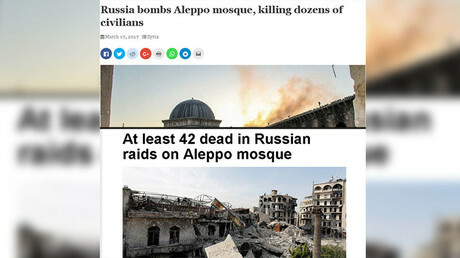 Most recently, the SOHR shared the first pictures from the scene of a bombed Syrian mosque in Aleppo province on March 17. Multiple media outlets accused Russia. While some of them blared Moscow's involvement in their headlines, others were more careful, opting to remind readers about accusations of Syrian and Russian strikes from the past. 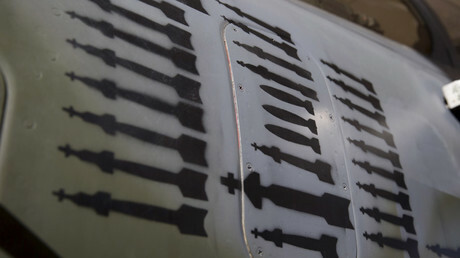 However, after photos of a purported US missile fragment found in the rubble of the bombed mosque emerged online, the US Central Command (Centcom) confirmed it carried out the deadly air strike in which over 50 people were killed.